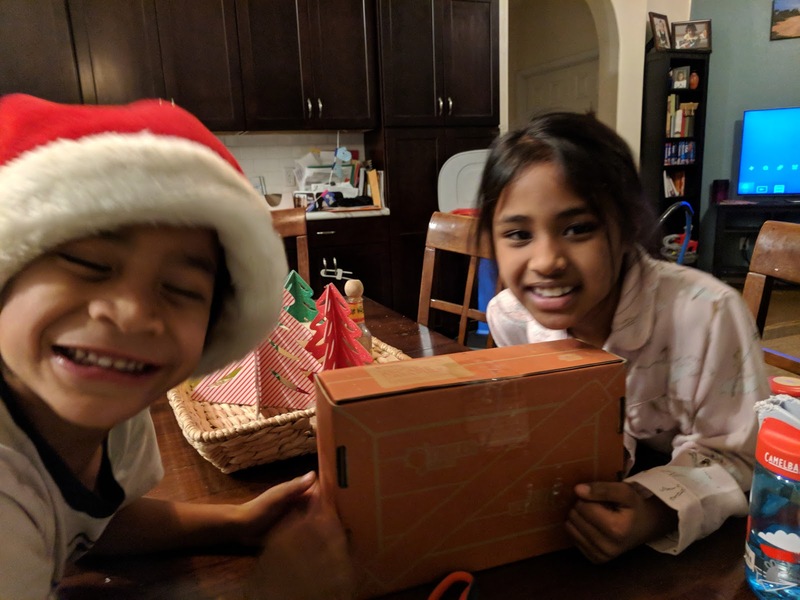 D's parents got Sky and Fire a subscription to Tinker Crate for Christmas. I think these will be the perfect gift, especially for Sky, since she loves to build and invent things. Each crate contains all the parts and instructions for a project and a magazine that describes the physics or mechanics of the project, as well as some suggestions for modifying the original design if you want. Tinker Crates are designed for ages 9-16 so although Sky probably could have built it on her own, I helped her and Fire with this one. The instructions were clear and straightforward and it only took 20 minutes total to assemble it. 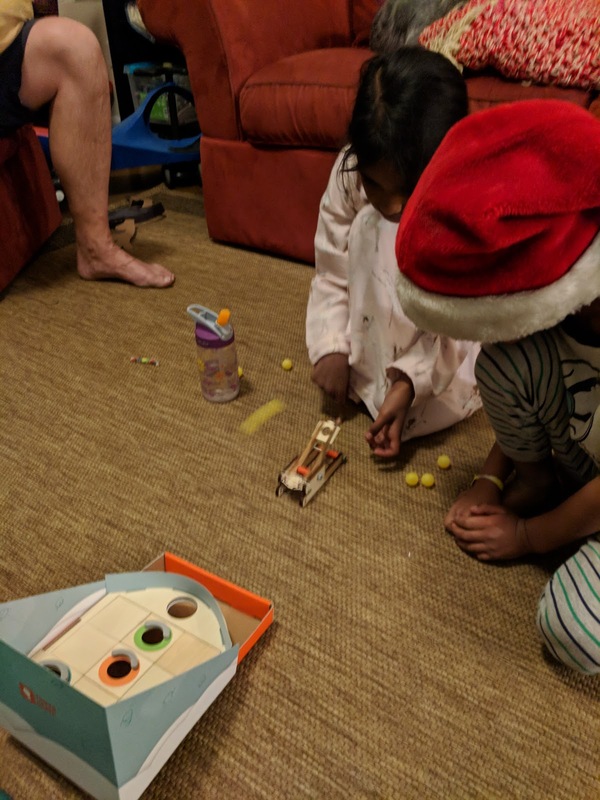 The kit included a game board, the catapult, and six small balls. Sky and Fire loved rearranging the game tiles and trying to shoot their balls into the holes for points! I'm going to try and save each kit when they're done so we can pull it out again when someone is ready for a fun challenge. I think these will be great for those too-hot summer days when the kids just can't find anything to do. 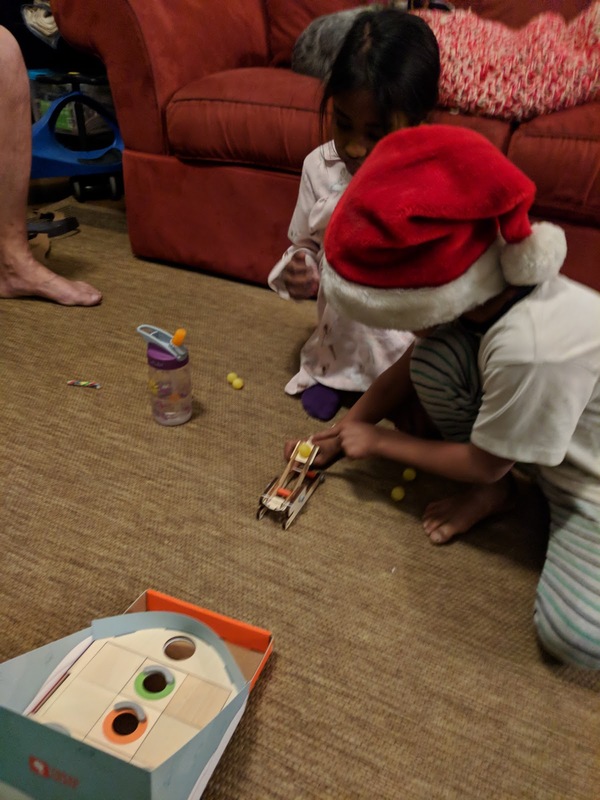 This Christmas present was definitely a hit and the kids are already looking forward to the next one.